Honeywell International Inc. (NYSE:HON), Pfizer Inc. (NYSE:PFE), Microsoft Corporation (NASDAQ:MSFT) are among the top three stock holdings of Ascend Capital, as per its recent SEC 13F filing. The investment manager has a current portfolio of $3.38 billion and its primary investments are in service, consumer goods, and finance industry. Honeywell International Inc. (NYSE:HON) is the largest stock investment of Ascend Capital, which owns 936,004 shares of the company at an estimated market value of $87 million. Honeywell International Inc. (NYSE:HON) reported net sales of $10.26 billion in its fourth quarter 2014 along with earnings per share of $1.20. Adage Capital Management, Citadel Investment Group, and Gamco Investors are among the primary investors of Honeywell International Inc. (NYSE:HON). The stocks of Honeywell are trading at $97.58 with current P/E ratio of 18.31. Pfizer Inc. (NYSE:PFE) comes as the second largest stock investment of Ascend Capital with 2,398,523 shares of the company at an estimated market value of $70 million. Pfizer Inc. (NYSE:PFE) announced revenues of $13.1 billion for its fourth quarter 2014 along with net income of $1.22 billion. Some of the major investors of Pfizer Inc. (NYSE:PFE) include Levin Capital Strategies, Stelliam Investment Management, and Jet Capital Investors. 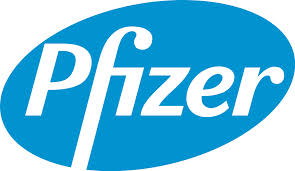 The shares of Pfizer Inc. are trading at $31.19 with current P/E ratio of 22.01. Microsoft Corporation (NASDAQ:MSFT) is the third largest stock holding of Ascend Capital, which owns 1,479,226 shares of the company at an estimated market value of $68 million. With a shrinking exposure in mobile operating system industry and software, the Windows operating system maker is offering cross platform applications including free Office suite for iOS. In addition to it, the company is transforming its basic business model by limiting its dependence over its PC business. Satya Nadella, CEO of Microsoft Corporation (NASDAQ:MSFT), is emphasizing over the cloud offering of the company including Office 365 and Azure.